Is The Rock cooking up something for Magic Kingdom? With every trip to Walt Disney World there's always something different to see. 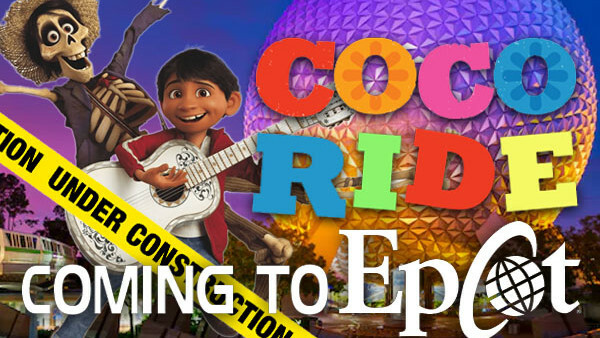 The resort is constantly changing; rides close, construction begins and new policies get put into place. In the past year alone Disney have started charging to park at their hotels, we've seen the introduction of those cute Minnie Vans and the closure of The Great Movie Ride (something many of us still haven't got over). More recently, Toy Story Land opened up to guests this summer and guests were invited to attend the new H2O Glow Nights at Typhoon Lagoon. If you've stepped foot in the resort this year then you've seen just a glimpse at the sheer amount of construction work going on with new hotels and the Skyliner towers popping up all over. And with Star Wars: Galaxy's Edge construction looming over Hollywood Studios, it has never been a more exciting time to be a Walt Disney World fan.